The Hughett house as I remember it, was once called the ‘Bungalow’ and was the residence of Frank G. Norcross, General Manager of the New River Lumber Company and it was built in 1908. 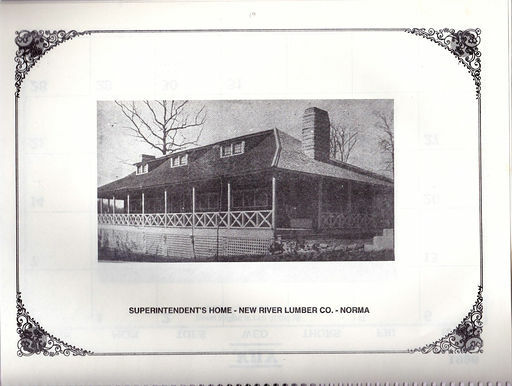 Mr. Norcross was the man that New River Lumber Company sent to Norma to build and operate the Norma Band Mill. 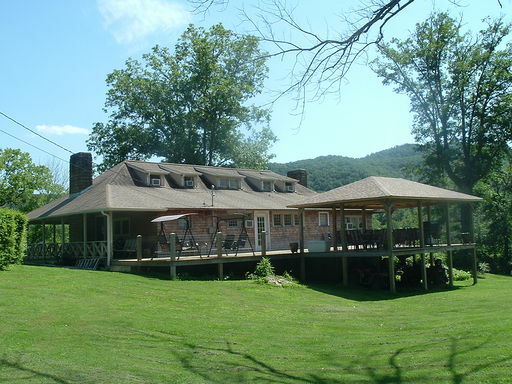 The house was later owned and occupied by the family of Freeman and Johanna Maria (HANSSEN) Hughett, and currently (2017) is owned by Mr. Leslie Byrd. The pictures are of the restoration that is being done (2013-2017) to the house now owned by Mr. Leslie Byrd, and the work was done by Rev. Larry Sexton of the Norma Community. The house is located on the road that leads down past where the Norma Post Office and Pennington Store used to be. Most of the photos were provided by the owner, Mr. Leslie Byrd. FH House- (2) - How it looks today.